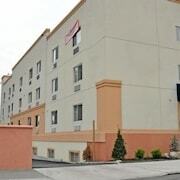 Which hotels are closest to the Bronx airport? 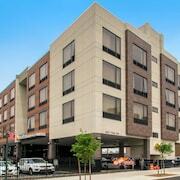 Can you find accommodation in popular areas of Bronx? 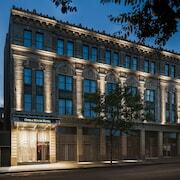 Where to stay near top Bronx attractions? What kind of hotels are in Bronx? 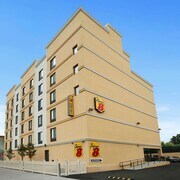 Which hotel chains are in Bronx? Visitors give high marks for the top-notch restaurants in Bronx, which is also known for its gardens and zoo. This city also attracts tourists with its shopping and sporting events. Top sights in the city include Bronx Zoo, Floating Pool, and Yankee Stadium. The city's natural setting is picturesque, including the gardens and these places to visit: New York Botanical Gardens, Bronx Park, and Bicentennial Veterans Park at Weir Creek. The city is well liked for its places to shop, and Bay Plaza Shopping Center is a favorite for retail therapy. Other notable sights to explore include Bronx Zoo and Floating Pool. 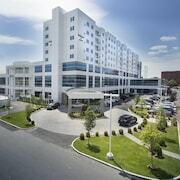 Residence Inn New York The Bronx At Metro Center Atrium - This 3-star hotel in East Bronx features free breakfast, free WiFi, and free parking. 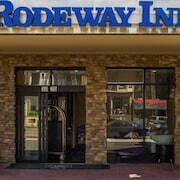 It's a favorite with Expedia travelers for its breakfast and convenient parking. 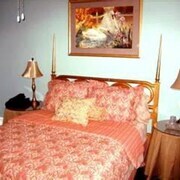 Opera House Hotel - Our customers like the family-friendly amenities and overall value at this hotel. 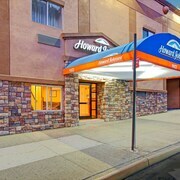 This 3-star hotel in West Bronx features free breakfast, a fitness center, and a 24-hour business center. 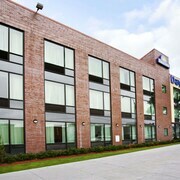 Comfort Inn & Suites near Stadium - With a stay at this 2.5-star hotel, guests can enjoy access to free breakfast and a fitness center, along with free WiFi. 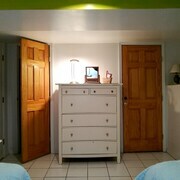 Expedia customers like its comfortable rooms and location. Other top sights in Bronx include Yankee Stadium. Outside the city, popular places to visit include Bloomingdale's, located 8.4 mi (13.6 from the heart of the city, and Barney's, which is 8.5 mi (13.6 away. With so many transportation options, seeing Bronx is simple. Take advantage of metro transit at Pelham Pkwy. Station, Bronx Park East Station, and Pelham Pkwy. Station. If you want to see more of the area, ride aboard a train from Bronx Botanical Garden Station, Bronx Fordham Station, or Bronx Williams Bridge Station. 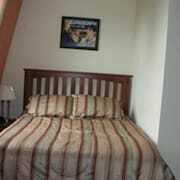 What are the most popular hotels in Bronx? 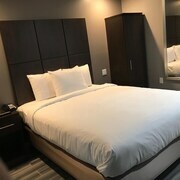 Are there hotels in cities near Bronx? 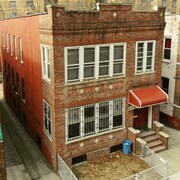 Explore Bronx with Expedia.com.au’s Travel Guides to find the best flights, cars, holiday packages and more!